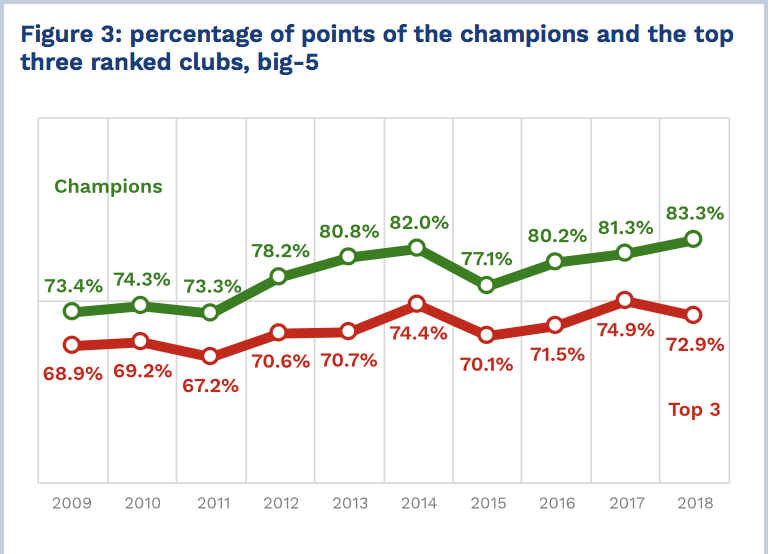 In 2017/18, big-5 league champions achieved a record of 83.3% of points. This proportion is 10% greater than that measured in 2008/09. 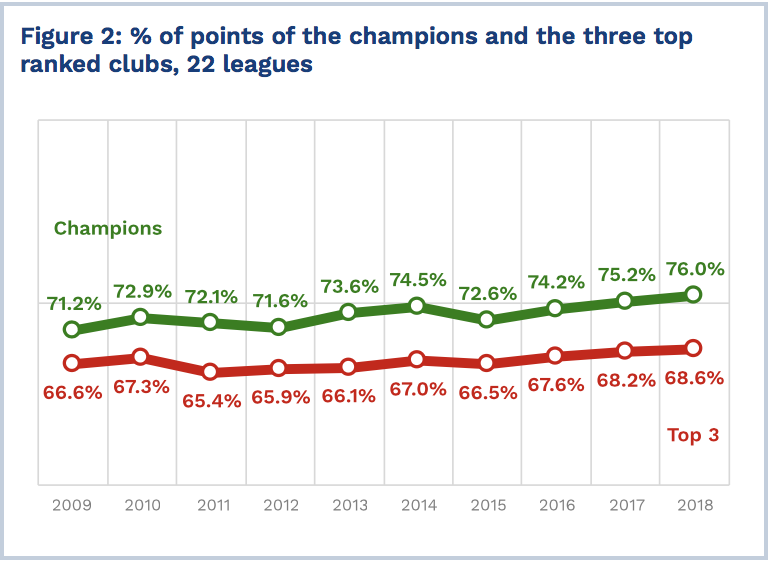 Over the ten seasons studied, the biggest average goal difference per match was measured for the UEFA Champions League: 1.58 goals. 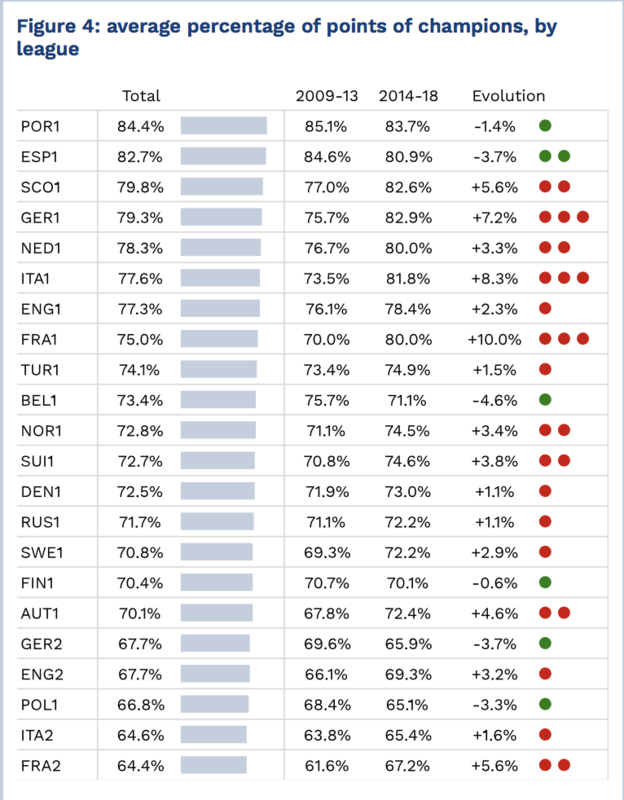 The premier competition of European football is also that presenting the highest proportion of matches with a goal gap of at least three: 21.0%.